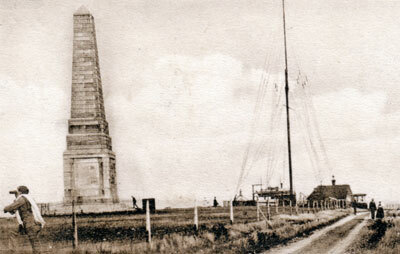 The Culver Admiralty Signal Station stood adjacent to the Yarborough Monument from 1906 until the 1950's, it was one of a series of signal stations built along the south coast by Guglielmo Marconi, all that remains today are the boundary stones. Culver Signal Station had especially good reception and would often pick up messages that the Naval signal operators at Portsmouth couldn't receive. During WWII the Culver station was used for intelligence gathering due to its good reception and was staffed by members of the Women's Royal Naval Service (WRNS) billeted in the nearby coastguard cottages.